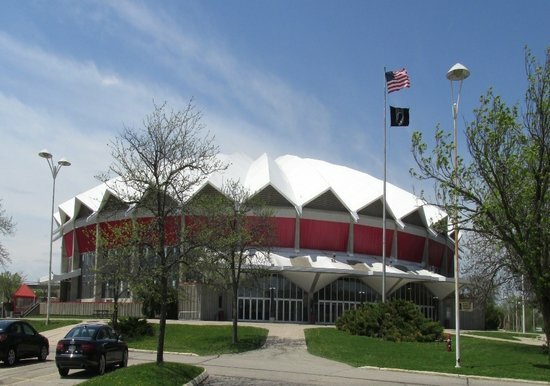 The Veterans Memorial Coliseum was constructed in 1967 and it serves as the Alliant Energy Center’s major venue for concert performances, livestock shows, sporting events (hockey), product shows, and other events such as circus and monster truck rallies. In 2016, ZS performed a two-part study of the Coliseum’s rigging for the various events. 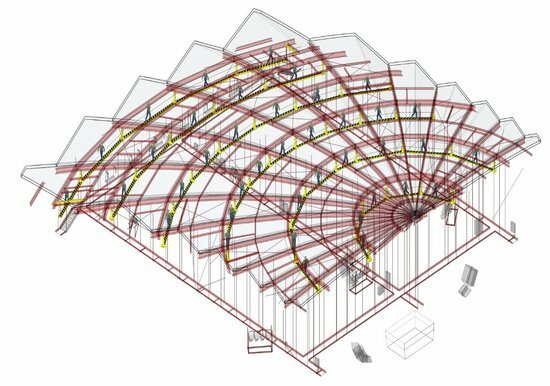 The first part was to design a roof independent rigging grid. 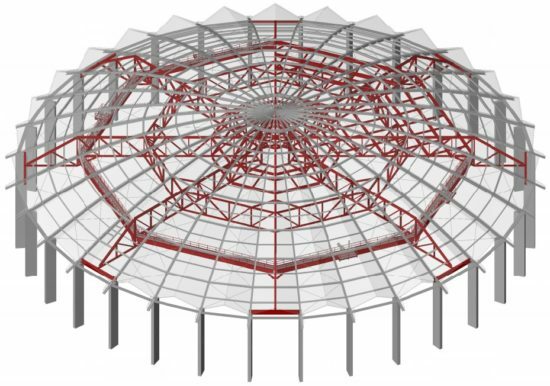 The rigging grid would consist of four (4) steel trusses that would span the width of the Coliseum. 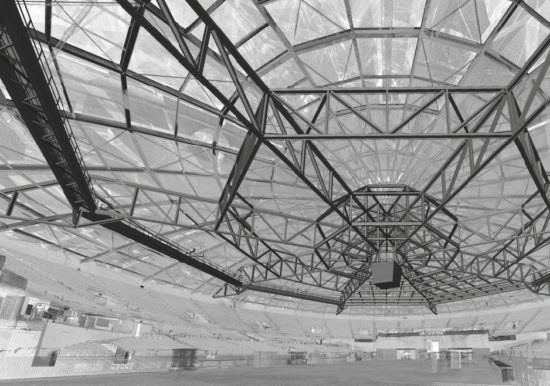 The trusses would bear on girders that would transfer the load to the existing concrete pedestals and a recessed pocket would be located at the center of the Coliseum for storage of the scoreboard. A new catwalk system and lighting platforms would circle the perimeter and provide access to the north and center stage rigging grids. The independent structure would both increase the capacity for hanging loads and expedite the rigging process prior to events. The final task of the study was to make recommendations for improving the current system in lieu of the independent rigging grid. 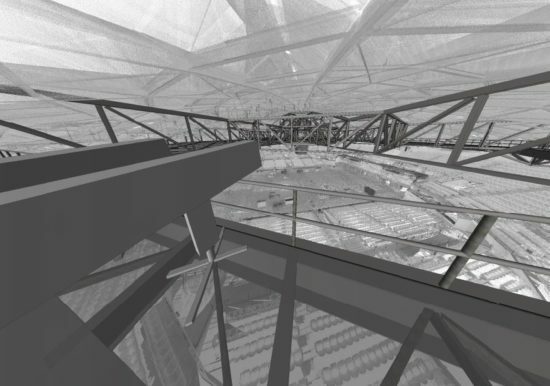 The current rigging system covers the north half of the Coliseum floor and consists of a Horizontal Life Line (HLL) running parallel to the circumferential ring beams. To utilize the current system, a rigger must first connect their lanyard to the HLL and then climb the tilted ring beams. Once on the ring beam, the rigger must climb under the roof valley via an L-shaped bracket. As a result, the rigging process is difficult and more than doubles the rigging time for many events. 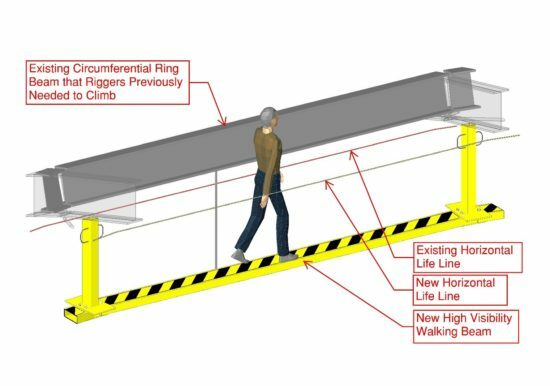 To improve this system, ZS developed a high visibility walking beam hung below the roof structure so that the riggers would no longer need to climb on the roof structure to hang equipment. In addition to the walking beam, a secondary HLL was added to permit multiple riggers to access the system at one time. For over a quarter century, the ZS LLC team has been leading the profession in building envelope consulting and forensic engineering, as demonstrated by the successful completion of countless specialty engineering projects and enriched facilities.